St Michael's Prep School is a co-educational IAPS school for pupils aged 2-13, set in 90 acres of stunning grounds in the Kent countryside near Sevenoaks. 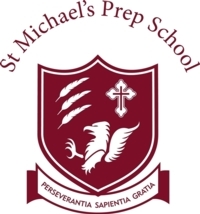 St Michael's Prep School is a non-selective co-educational school promoting a rich, varied, broad and balanced education within a Christian context. We challenge and stimulate pupils to achieve their best and strive for excellence in all that they do; fostering in them a sense of wonder, and joy in learning, so that they take real pride in their accomplishments. Children are helped to understand themselves as individuals, their feelings and emotions, how they can affect others and to show tolerance and respect for the diversity of the world in which we live. We recognise that every child is an individual and aim to promote their happiness, self-confidence and well-being as members of a caring community. Children are given opportunities to make a difference to their school and to the wider world. The school motto; “perseverance, wisdom, gratitude” encapsulates the cornerstones of this education. From good fortune springs a responsibility to care for others and in this caring, through charitable work the Christian commitment to love one another is translated into action. The school is supported by a governing body that represents a wide range of expertise including ex-parents, ex-pupils and representatives from business and education.